(scroll down for video ) The claim was made after US presidential Democratic candidate Hilary Clinton vowed to get to the bottom of an alleged UFO cover up high within the government but knowing the clinton’s familly you know they are just bullshiting and will never do it . Someone spread a copy of a letter sent by JFK to the then head of the CIA just 10 days before he was murdered on the Internet. Presidential candidate Hillary Clinton doesn’t know it yet or maybe she is just lying to get votes ( yeah like every politicians ) , but she does not have the power to release such information. CIA would kill her before she could, just like they did JFK. Yes, just a week before his death JFK wrote a memo to CIA to release all pertinent info to NASA, but somehow he was killed before it ever happened. The memo is a confirmed declassified document released by the CIA. 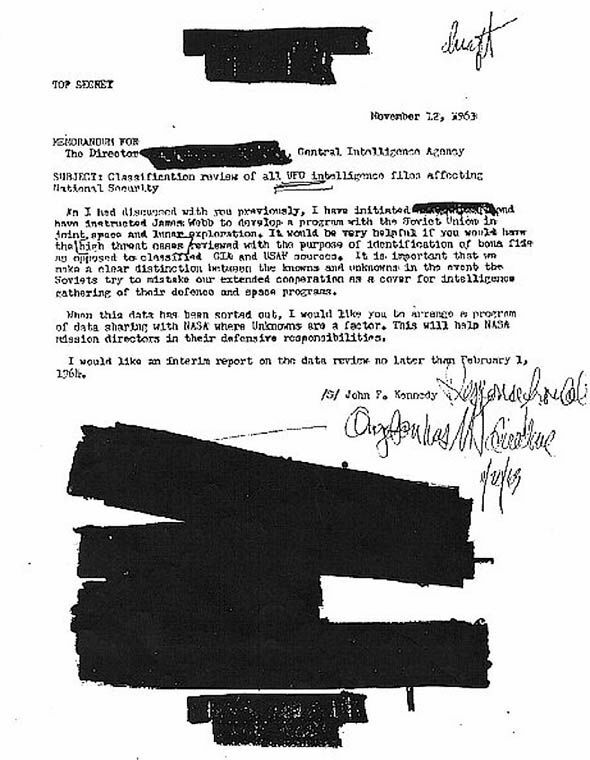 The now declassified but redacted memo from JFK to then head of CIA 10 days before his death. On the same day JKF sent a separate memo to NASA asking for “cooperation with the former Soviet Union on mutual outer space activities.” It is understood JFK was concerned about the high amount of UFO sightings over Russia and feared the Soviets would wrongly believe it was US spying equipment. 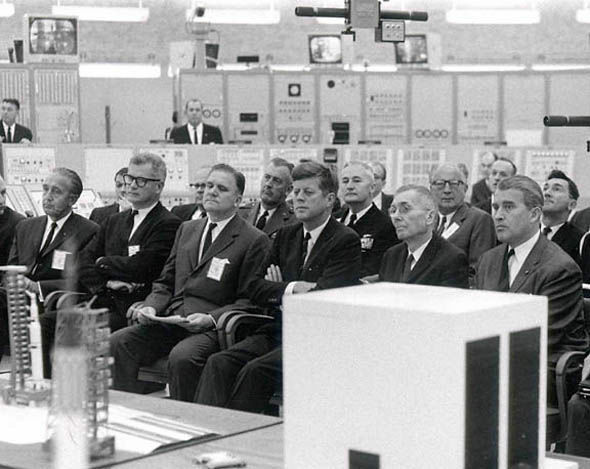 Four days later on November 16 1963 he visited NASA at Cape Canaveral, Florida, which further fuels the conspiracists theory. In the 1990s a document which became known as the “burned memo” surfaced. It was allegedly received in the post by a UFO researcher called Timothy Cooper in 1999 and was said to have been sent by an unnamed CIA source who allegedly worked three from 1960 to 1974. The alleged source claimed the document, which has never been verified as real, was pulled by him from a fire while the CIA was burning sensitive material, hence the scotch marks. The memo had no date and referred to “Lancer”, the supposed secret service code name for JFK. It allegedly had this message from the director of Central Intelligence: “As you must know, Lancer has made some inquiries regarding our activities, which we cannot allow. There have been many conspiracies surrounding JFK’s death, including those claiming CIA involvement, but not always because of UFOs .